The last we heard from you was your fantastic P’taah ‘Perfumed Silence’ album last year, what have you been up to since? Alot actually. We had a limited edition Ananda Project album released in Japan late last year called ‘Truth’ on the ULTRA-VYBE label., and now we have 2 brand new albums about to come. The first one ‘Beautiful Searching’, on King St., is already released in Japan and will be available in the US in January. The next one will be on our own, new label, Ananda Project Recordings and will coming out worldwide in Spring 2013, tentatively called ‘Sound and Fragrance’. As well, I’ve been developing some new artists in Atlanta who we’re really excited about releasing next year, and doing a bunch of music for advertising. ‘Human Like EP’ marks the very first release from your new Ananda Project label, what can we expect from the imprint moving forwards? To me there is a fairly wide territory that the ‘Ananda’ sound works in… but the focus is to use it as a platform to feature great vocals, lyrics, and artists. to me the song is usually first… there are lots of guys that do incredible, great, great tracks…but I always thought that what I admired most about music was the art of crafting a song. 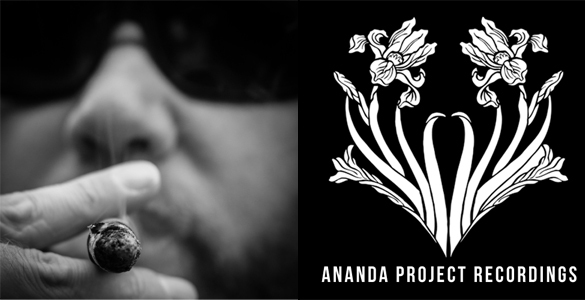 so Ananda Project Recordings is going to be a deep house label that focuses on the art of songwriting….of course followed up with some tasty dub’s too. Tell us about the vocalist on Human Like? 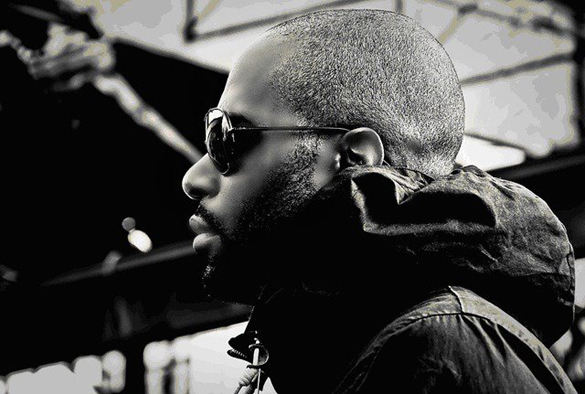 Terrance Downs is the featured vocalist on ‘Human Like’. We’ve been working together consistently for the past 15 or so years… we have a certain rhythm to the way we work in the studio, and its become quite intuitive over the years. we both know the basic blueprint of the sound without having to talk about it conceptually. the magic usually just reveals itself. Terrance also has a new single out with Chris Forman on King St. which I helped out on the vocal production a little. Have you any plans for a new Ananda or P’taah album? I’m recording sessions for a new P’taah album this winter with Kebbi Williams, one of the great up and coming saxophone talents in the US jazz scene right now. The idea is to get a bunch of great musicians into a room with basic compositions layed out, then record a few hours, then I edit and manipulate… kinda like the editor of a film, but adding and subtracting elements as I go along. P’taah is the outlet for me to think like a jazz guy, even though i’m not a jazz player as such, I use the studio as my instrument I guess. What are your thoughts on the soaring popularity of deep house music and the scene? Well its great, it never went away, but its great people are doing their research and continuing the legacy that came out of the 80’s/90’s sound. this style of music is like an ongoing story that keeps getting told in many different shapes and variations, but what connects it is the warmth and vitality of soul that Deep music has. I mean, just playing something basic with a real live Rhodes and the fingers on a Conga, it automatically creates an atmosphere that attracts the soul…and the body. Whats been your favourite release of the year so far? I got really into the Manuel Tur album on Freerange earlier in the year. We’re doing a little Japan promotion tour for the new album on King St. last week of November, and then organizing a tour through South Africa in February 2013 to promote all the new upcoming releases on Ananda Project Recordings. Hahaha…. well, probably a little obscure, but, ‘The Meaning of Love’ by Steve Kuhn, 1971… it’s some pretty deep stuff. check it out sometime. Yousef's newest will leave you 'Begging' for more.